Halia (Zingeber officinale) is a wild plant in the fields that have a content of the soil slightly moist (damp) and gain a lot of sunlight. Halia including an annual herbaceous plant species. The characteristics of these plants, among others, has an upright stem, root fibers and bulbous with a horizontal rhizome. Medium size halia rhizome plants are largely determined by varitas. Rhizome rather thick-skinned halia wrap meat and fibrous tubers that have a brown colour with a distinctive aroma. Elliptic leaf shape and not very wide. The flowers are panicle shaped and have two sexes as well as having a three stamens and pistils of flowers. Halia flowers appear in axillary leaves with a sitting position. 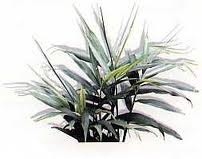 Halia is a plant to tropical and subtropical areas suitable to be planted in the lowland plateau (1500 meters above sea level). Halia trunked wet and probably derived from the PRC and India. Halia can achieve high ranging from 0.75 to 1 meter. Substances found in halia (Zingeber officinale) rhizome especially, among others, contains essential oils, resins, minerals, sineol, fellandren, camphor, borneo, zingiberin, zingiberol, gingerol, zingeron, lipidas, amino acids, niacin, vitamin A and of protein. Rheumatic and Gout: halia root rhizome taste burnt, then washed and in the stomach. Herb paste on the sick and performed regularly until healed. Preventing Impotence: 2 halia root rhizome of thumb, an orange juice, chicken 1 egg, 1 teaspoon coffee powder, 1 tablespoon soy sauce, 1 tablespoon honey, and the tip of a teaspoon of pepper powder. halia root grated and squeezed with 1 cup cooking water, then filtered; lime split and squeezed to take water, raw chicken egg yolk is broken down and taken, then is mixed with all other ingredients and stir until evenly distributed. Drink a potion carried out regularly once a week. Back Pain and sprains: 4-8 halia rhizome tuber of your thumb size and tamarind fruit that is ripe enough. Grated halia root and mix with sour Java fruit until evenly distributed. Concoction smeared on the body that feels pain. Tired: 2 halia rhizome root of your thumb size and dairy milk to taste. Halia root baked and cleaned then boiled along with milk dairy. Usual drink potions. Headaches: 2-3 pieces of halia leaves, finely ground and added a little water. Herb used as a compress forehead. Cough: 2-3 halia rhizome root of your thumb size. Boiled with 2 cups water to boil down to 1 cup. Potion drink 1 cup 2 times a day, morning and afternoon.